Abraham, formerly known as Abram, and Sarah, formerly known as Sarai, relationship is not picture perfect. Yet God was merciful towards them in their marital decisions and in their relationship with Him. Their story revolves around promises, heirs, and land. Many couples face delays. Life will put your desires on hold. Many couples are waiting for children, a job or promotions, a home, a breakthrough. While, Abraham and Sarah are not perfect examples of waiting patiently for God to do His work, they are the perfect examine of how to wait together with your spouse. We first read of Abram in Genesis 11:26, in the genealogy of Shem, and of Sarai a few verse later (v. 30), where it is made clear that she could not have children. Then in chapter 12, Abram’s story begins to unfold. He is told to get up, go someplace, and God would do something. 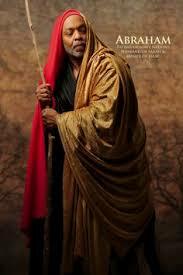 Since he was a righteous man, he obeyed God. He took his wife, Sarai, his family, all their possession, and did as God told Him. Scripture doesn’t speak of the conversation Abram had with Sarai, but it’s clear that she stepped out on faith with him. She could have said that she was staying with her family in the land where she grew up, but she obeyed her husband, allowing him to be her guide because he followed God’s leading. Abraham was called by the Lord to go to a place where he would receive an inheritance and he went out even though he didn’t know where he was going. Sarah as a show of her support went with her husband. A spouse can either make or break their spouse in whatever God has called them to do. They can either believe in their call and support them or criticize them and hinder them in their call. While there are many ways to support your spouse in their call and help them fulfill God’s plan, the most important thing to do is pray for their strength, faith, and wisdom. Sarah could have decided to stay in the land of her father, but her decision to follow her husband, even when he didn’t know where he was going is an example of how to support your spouses when they are doing the work of the Lord. Abraham was 75 years old when God promised a great nation would come from him. Ten years later, Abraham still hadn’t had an heir from his body. I’m quite sure that Sarah knew of God’s promise and doubting that she could have a child, she decided to offer her handmaid, Hagar. Scripture says, in Genesis 16:2, that she tells her husband and Abraham heeded his wife’s voice, meaning he listened to her. By doing so, they together stepped outside of God’s plan. Once outside of God’s plan strife and confusion was brought into their household. Sarah despised Abraham for conceiving a child with Hagar. 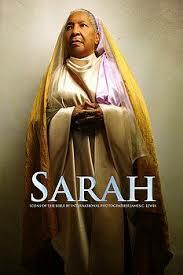 Hagar despised Sarah and no longer respected her because she was able to give her husband something Sarah couldn’t. Yet and still, God dealt mercifully with Abraham and Sarah in their marital decision even though they showed little faith in His divine ability to keep His promise. God respects marriage and the decisions made within the marriage. While Abraham and Sarah went ahead and did things their way, God didn’t take back what He promised Abraham, but He reassured them that nothing is impossible for Him. Some 25 years after God’s first promise to Abraham, his and Sarah wait was over, she bore a son, Isaac. Abraham was 100 years old and Sarah was 90! A lot of life happened to them during this time. For some it’s easy to underestimate the anguish and doubt Abraham and Sarah must have went through waiting for a child. Many couples know just what they went through, thinking it just won’t happen for them. Abraham and Sarah waited together, endured together, learned patience together, and had faith together, these things were essential to the promise being fulfilled. If you and your spouse are waiting for something to happen in your life together–wait together, endure together, have faith together. God will fulfill every promise He has made. His timing is always the best. Even when the dream is almost good as dead, He will do just what He said He would, so that He can get all the glory. NOTHING is impossible for Him. Remember to like. share, and follow on all social media platforms.